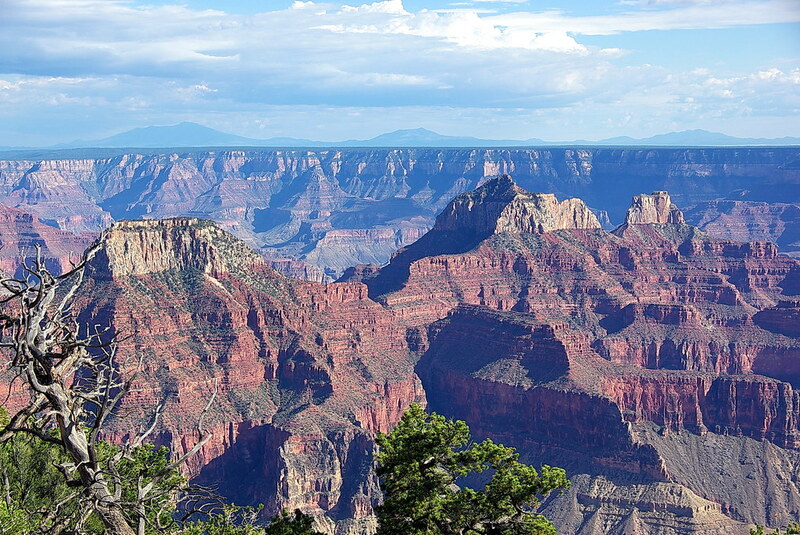 The latest development with our trip planning for The Bonneville Run is the booking of accommodation at the Grand Canyon Lodge, on the North Rim of the Grand Canyon. The Lodge is the only accommodation available inside the northern part of the Grand Canyon National Park, which is a much less tourist oriented part of the Park than the South Rim area. Our accommodation is a cabin that will sleep up to 6 people and is less than a 5 minute walk to the edge of the Canyon itself. When I first checked the availability of rooms at the Grand Canyon Lodge, they were showing plenty of rooms available, with the exception of their cabins, which were booked out. My preference was initially for a cabin, but I gave up on that idea and was happy to book 3 separate rooms instead. Last week, I checked again with the intention of making a booking, and found the website showing the Lodge was booked out for all of August. After checking third party sites and finding rooms available, but at a much higher rate at otel.com, I emailed the Lodge to enquire about room availability and any other third party providers they worked with. The response I received gave me the names of 2 third party providers to check with, one of which was otel.com, but also informed me that there was a Pioneer Cabin available at the Lodge, and lo and behold, when I checked the website after reading the email, there was a single Pioneer Cabin booking available for all of August, on the dates we needed to be there. The next most important booking we will need to make is at Death Valley, as there are, from what I can tell, 4 places inside the Death Valley National Park where we could stay, and these are likely to sell out well in advance of our trip.